The Fort Lauderdale Real Estate market has certainly been through a storm. However, as we enter a new more balanced Ft. Lauderdale Real Estate market quality properties will stand out. 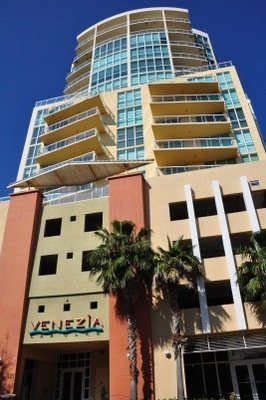 When it comes to Fort Lauderdale Condos, Venezia is one of the those. Read more about the Venezia Las Olas Condos in Fort Lauderdale, Florida. Venezia Las Olas is at the top of the list when it comes to Fort Lauderdale Condos for Sale in downtown boutique buildings. A Fort Lauderdale Lifestyle just off Las Olas, Venezia is all about quiet enjoyment at home while being a short distance to everyhting downtown Fort Lauderdale has to offer. The upper floor Pool deck, and Healthclub have a beautiful view of downtown Fort Lauderdale. With tis beautiful lobby Venezia is fine downtown living. Eric Miller and Associates is currently representing a spectacular Venezia Condominium for Sale. With over 3000 sq. feet of living space it is one of finest Fort Lauderdale Condos for Sale. Call Eric today to set up you private showing. At Eric Miller and Associates, "We're here to help" with your next Venezia Las Olas Condo purchase or sale. Contact us directly at (954) 383-8170.